KeyCDN is a superfast Content Delivery Network with best prices on the market. This CDN allows you to accelerate any kind of content. What is Google Cloud CDN? Why do developers choose KeyCDN? Why do you like KeyCDN? Why do developers choose Google Cloud CDN? 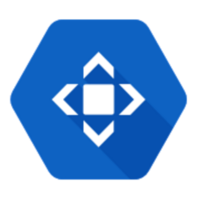 Why do you like Google Cloud CDN? What are the cons of using KeyCDN? What are the cons of using Google Cloud CDN? Downsides of Google Cloud CDN? How much does Google Cloud CDN cost? What companies use Google Cloud CDN? What tools integrate with KeyCDN? What tools integrate with Google Cloud CDN? What are some alternatives to KeyCDN and Google Cloud CDN? CloudFlare - The Web Performance & Security Company. Content Delivery - as easy as possible. Using it with my webforum (9000 Users/Month / 600.000 Requests) Easy to integrate with existing documentations for all big applications, free ssl support with let's encrypt or own certificate. Ability to use own domain (like cdn.yourdomain.org). You only pay for that what you're really using (pay as you go). Using KeyCDN already a little bit more then one year, i love it. Loadspeed improved heavily (without: 2,5-4s | with (0,5-1,2s). Support is very fast and helpful in any situation. And the most important thing: cheaper then others. while being much faster. I can only recommend everyone to use KeyCDN. But please keep this in mind, unused credits will expire after one year if there wasn't a payment for more than a year but you can retain them with any payment for another year before the expiry. KeyCDN is a simple-to-use and reliable solution to decrease page load times around the world. In particular, I enjoy the simplicity of the dashboard provided, the CMS integration documentation, custom sub-domain configuration, and Let's Encrypt support. As an individual user, I use KeyCDN for a variety of different personal projects, some of which may experience high traffic at peak times. I have never once had an issue with the KeyCDN service and it has served me well over the past year. My one and only issue with KeyCDN is that there is a minimum purchase requirement and that the credits purchased will expire after one year. Still, one could rationalize KeyCDN as a yearly subscription service this way and it would still be a good deal for those who need a reliable CDN provider. Turned out to be the best CDN of the ones we tried (including CloudFront, CacheFly, and MaxCDN). It's by far the best modern, well designed, and easy to use interface. It seems to have every feature we could need, including SPDY support (which CloudFront still lacks), an API that allows easy free cache invalidation, HTTPS SNI, and real-time logging. It didn't seem to be very fast at first and we almost stopped using them, but it turns out they have an odd quirk where they don't cache pages that don't set a Content-Length header (which PHP pages normally don't). Once we set up a work-around for that issue, it worked very well. Hopefully that's an issue they can fix on their end eventually. I was using MaxCdn for a few years and found it too expensive for my low traffic wordpress sites. Then I found KeyCDN and found all the same features and benefits for half the price. I have been pretty happy using KeyCDN and switching over to them has been painless.